A modern folksinger whose music nods to the genre’s 1970s glory days, AMY SPEACE has spent two decades chronicling the high marks, heartbreaks, and hard roads of a life logged on the road. She’s been a tireless traveler, chasing the dream from the coffeehouses of New York City to larger stages across the globe. Along the way, she’s built an international audience without the help of a major label, relying instead upon a touring schedule whose milestones include the Glastonbury Festival, NPR’s Mountain Stage, and a yearly average of 150 shows. Me And The Ghost Of Charlemagne finds Speace focusing on the other side of that so-called dream. The real side, filled with an ever-shifting balance of struggle and joy. Produced by longtime collaborator Neilson Hubbard and recorded during the final weeks of Speace’s pregnancy with her first son, Me And The Ghost Of Charlemagne captures Amy Speace at her most nakedly honest, with sparsely-decorated songs that double down on her larger-than-life voice and detail-rich songwriting. It’s an album about the colliding of dreams and reality, full of characters making sense of their lives when something is lost and then found. Really, it’s an album about the trials and triumphs of an artist’s journey — a journey that’s no longer focused upon the destination, but upon the actual trip itself. 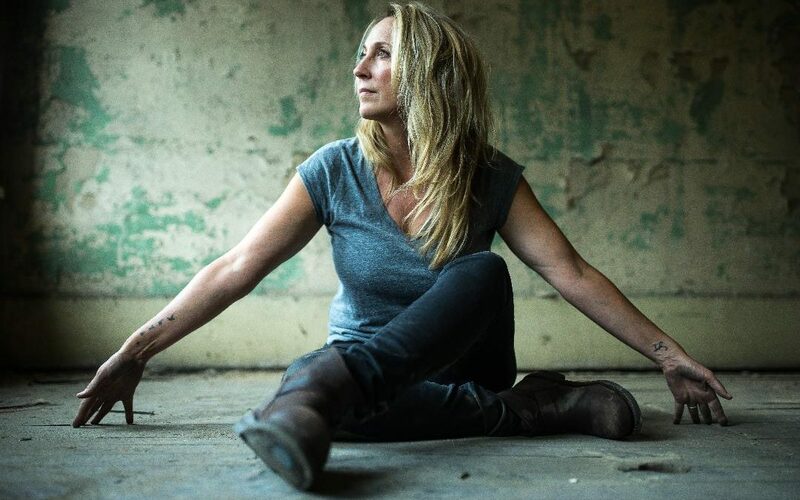 Discovered and mentored by folk-pop icon Judy Collins during the early 2000s, Speace left her career as a classically-trained Shakespearean actress and, instead, kicked off a string of acclaimed albums, including Songs for Bright Street, The Killer in Me, and How to Sleep in a Stormy Boat. Championed by The New York Times, NPR and other taste-making outlets for her solo work, she received further acclaim as a member of Applewood Road, a harmony-heavy trio whose self-titled album became a critical success in the UK, earning a five-star review from The London Sunday Times. Years before Americana music received its own category at the Grammy Awards, Speace was one of the genre’s earliest champions, mixing the best parts of American roots music — gospel, alt-country, folk, classic pop — into her own songs. Me And The Ghost Of Charlemagne follows in that diverse tradition, but it also shines its light on a new Amy Speace: a clear-eyed, reenergized songwriter who’s done with chasing things that don’t matter…but isn’t anywhere close to being done with her art.